LiveWorkPlay is always willing to try new things, and there have been many changes to our annual New Year's Eve bash since its inception in 1999. 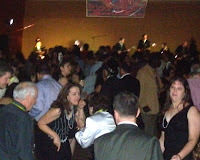 To celebrate the arrival of 2009 there were two NYE parties this year, one hosted by our in-house DJ Paul "Bee Diddy" Hamilton, and the other featuring the live music of Sticks n Stones. There were 12 0 and 250 guests respectively for the second-highest total in the history of the New Year's Eve In Ottawa event. Special thanks to 'A' Ottawa for once again promoting the party with an on-air announcement featuring the voice of television personality Kurt Stoodley, a long-time LiveWorkPlay supporter best known for his involvement with the annual Recipe for Success event (see below). Attendance at New Year's Eve events throughout the city was down this year, due to ongoing concerns about the economy and a lesser willingness to get off the couch that was brought on by the OC Transpo bus o perators strike and its side effects (see below). The total of 370 guests was an impressive outcome in light of these challenging conditions. 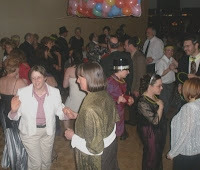 Pictured top right Laura Stewart (in white) is cutting a mean rug at the DJ party, while Sticks n Stones is seen rocking a crowded dance floor. Special thanks to Caroline Phillips from the Ottawa Citizen and Matthew Ott from SNAP Ottawa Downtown for their coverage of both LiveWorkPlay parties. There was a big turnout for the LiveWorkPlay Holiday Party with strong attendance from Journeys and SMILE participants and their family members. It was great to see so many siblings coming out this year! The December 19 event at the Hampton Inn featured a number of challenging games that also fostered some friendly competition. Special thanks to Jennifer Cunningham who played keyboard and lead the group in the singing of a number of popular seasonal favourites. The group also recorded a holiday greeting that you can see and hear by clicking here! 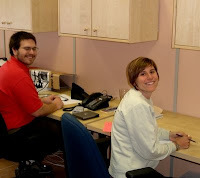 Pictured above right we see Michael, Melissa, and Sarah are all smiles as they work on a solution to a team challenge. Who could ever have predicted an OC Transpo bus operators strike wreaking havoc throughout the December holiday season and continuing into January and perhaps beyond? While most citizens are upset that their commute has been lengthened, people with intellectual disabilities are facing much more serious challenges and suffering new lows in quality of life. Whether it is attempting to keep a work or volunteer commitm ent, dealing with the isolation that results from loss of mobility, or missing out on learning opportunities at school or at LiveWorkPlay, the results have been devastating. Many self-advocates are speaking up about this issue, including Amanda Manuel and Melissa Cunningham, who were interviewed by CBC Ottawa radio and CTV Ottawa television. CEO Keenan Wellar also spoke to the media in an effort to describe the crushing impact of the strike. The clips have been posted on YouTube attracting more than 3000 visitors. The intention of SMILE trips is primarily to offer a challenging learning experience, a great time with peers, and of course the opportunity to see new people, places, and things. Many individuals returning from LiveWorkPlay trips find that they have developed the confidence and skills to make and enjoy their own travel plans. This year's early February trip to Port St. Lucie Florida is one of the most highly anticipated of all time, thanks in large part to the negative local environment brought on by the OC Transpo bus strike. SMILE participants are responsible for their own personal expenses and have been saving for a year to take part in the trip. This will be the biggest international excursion in LiveWorkPlay history, with 24 participants and 4 staff members along in a support role. 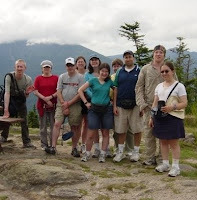 Pictured to the right are some of the participants from the 2008 summer trip to the White Mountains of New Hampshire. The tenth anniversary edition of the Recipe for Success Culinary Adventure and Charity Auction will take place at the Hampton Inn Ottawa (200 Coventry Road at the Vanier Parkway) on the evening of Tuesday, March 24. Sponsor information and other details will be released shortly. A prize package featuring an Air Canada return flight for two to an exotic destination of your choice is just one of the exciting live auction items already confirmed! Tickets are now available with an early bird discount. This is a fun night out, so bring your friends, family, and co-workers. There are no long speeches, and there are always lots of good stories to tell the next day! There was a time when LiveWorkPlay headquarters needed big classroom-style spaces to accommodate large numbers of SMILE participants on a daily basis. In 2009 this is no longer the case, even though the number of adult individuals being served has grown dramatically from 20 to more than 45! The type of supports has shifted to the community: volunteerism, paid employment, independent living, and community-based recreation and social activity. 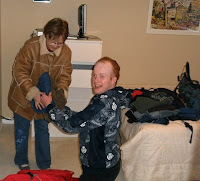 Small group educational activities, counselling, life skills, and technology training are just some of the important services and supports that will continue to be headquartered at our Heartwood House location, but changes have been made to better adapt the spaces to the new reality of smaller groups and greater mobility of SMILE participants. LiveWorkPlay staff members, placement students, and volunteers are also spending less time at headquarters and more time in support of community-based activity. There's more work to do, but different places to do it. So it was time to free up office space by doing away with the big desks and bulky desktop computers. There's even room for visitors to enter the office without being right on top of Julie's desk! The initial expense of the renovations and upgrades will be offset by savings resulting from an overall decrease in total square footage for our new lease agreement with Heartwood House beginning in April. It's now the winter session for Journeys, providing community-based learning and social opportunities for high school aged youth with intellectual disabilities. Journeys participants have a big say in the schedule of activities. They bring their ideas to planning sessions each season, and then vo te on their top choices. 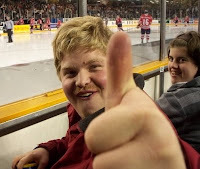 For the winter session the range of activities includes going out for dinner, a play at the National Arts Centre, and 67s hockey (Daniel gives a big thumbs up as Ali is all smiles to the right). Journeys participants are also registering for ACES 2009. ACES is the transformed LiveWorkPlay summer learning program that now features overnight travel for qualified Journeys participants. For 2009 there will be two separate trips to Toronto. This follows on the heels of last year's very successful inaugural trips to Montreal. Since it's inception in October 2007, there have been 9 graduates from the On Our Own Together Too transitional housing initiative. OOOT-TOO offers two months of supported independent living in a fully-featured two-bedroom apartment. The apartment entrance is independent of adjacent staff accommodations, and participants will spend many of their 60 days without any direct staff contact. Below right, Chris Jones gets settled at the start of his two-month experience with roommate Carl Sanderson. Help is always available, but staff presence is not imposed. Rather, it is negotiated with each individual with input from their family members or other supporters where applicable, and it is understood and expecte d that support may need to decrease or increase throughout the duration of the experience. The intended outcome for OOOT-TOO differs from person to person. For some it is intended as a final preparation for a move from the family home to an apartment, condominium, or other independent arrangement. For others it may be more of a fact-finding mission or a journey of personal exploration. Regardless of the stated purpose going in, the vast majority of OOOT-TOO participants have emerged with a strong desire for greater independence, and the majority of graduates to date have in fact made the move to homes of their own! 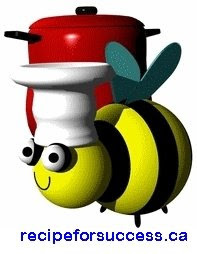 Being ready to move out and being able to move out are of course two different things. LiveWorkPlay needs your help in creating quality affordable housing for people with intellectual disabilities. $350,000 in capital is required to complement a $700,000 contribution from the Federal-Provincial Affordable Housing Program. The legacy of contributions to this capital campaign will be affordable community-based housing that will not only serve current LiveWorkPlay clients for a lifetime, but also provide homes to future generations of individuals with intellectual disabilities. A reminder that this year's annual conference of Community Living Ontario will be based in nearby Kingston, offering a unique opportunity for Ottawa residents to take part. 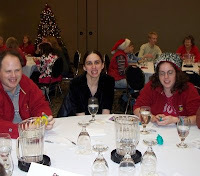 LiveWorkPlay is the English language Ottawa area affiliate of Community Living Ontario, and will be encouraging participation by self-advocates from Journeys and SMILE, as well as family members who can benefit not only from the formal presentations and workshops, but also from spending time with inclusion-minded peers and professionals from across the province and the planet. The conference kicks off Wednesday, June 3 and wraps up on Saturday, June 6. Registration is not yet available but it is not too early to start thinking about accommodations for those planning to stay overnight in Kingston. Get in touch with Keenan if you would like more details. A block of rooms is being organized in support of self-advocates who are interested in attending the full conference. 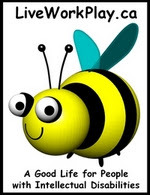 MAKE YOUR DAY, SUPPORT LIVEWORKPLAY! We hope you have enjoyed this 26th edition of LiveWorkPlayNews. If you have received an email about this blog in error and/or you would prefer not to receive future LiveWorkPlayNews messages, simply click here and follow the simple instructions. That same web page can also be used by newcomers who would like to join LiveWorkPlayNews, so feel free to share the address with friends, colleagues, and family who might like to subscribe. Send story ideas to Keenan Wellar. The NYE party was awesome! Next year I want us to go back in the ballroom for the band.